Every person, except citizens of the Gulf Cooperation Council (Kuwait, Qatar, Oman, Saudi Arabia, and the United Arab Emirates), needs a valid Visa, Bahrain evisa to enter The Kingdom of Bahrain. According to the new Visa policy implemented in Bahrain in October 2014, the process of obtaining Bahraini visas is now easier for incoming travelers. Travelers must compulsorily have a passport which is valid for at least six months and a visa to enter Bahrain. Bahrain is now issuing more visas than before since the policy was implemented. Bahrain has also begun to send applicant confirmations of their application status via text messages or emails since April 2015. The latest adopted new visa policy of Bahrain (November 2016) rules to define an allowance of two-week stay on a single entry visa and a 90 days stay on a multiple entry visa – valid for one year. Also, a multiple entry visa which is valid for 3 months allows a stay for one month. By clicking on the button “Apply for eVisa” and answering some simple questions, you can figure out the type of Visa you will require. 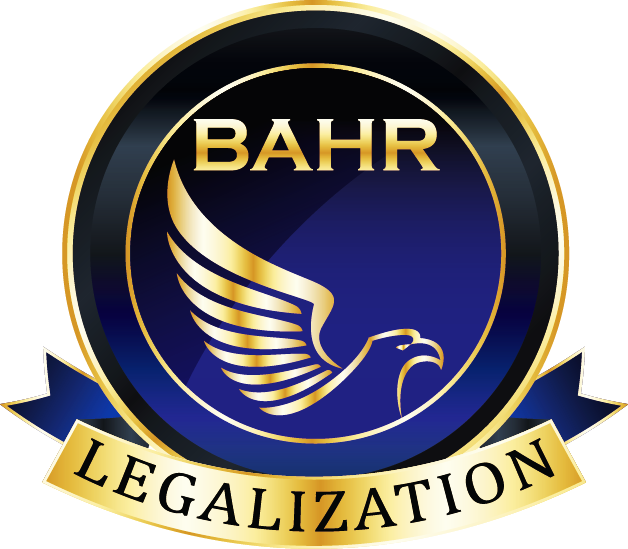 Copyright BAHR Legalization. All rights reserved.